This fun Tumble 'N Roll will have you rolling in the aisles! Perfect for testing spatial relationships and learning to take turns. 4″ soft sides cushion and protect hands and knees. 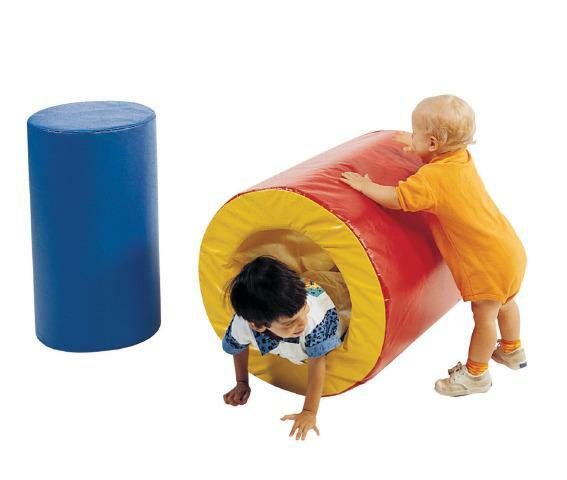 Includes tunnel and cylinder. THIS ITEM WILL DROP SHIP FROM THE MANUFACTURER AND TAKE ABOUT 2-3 WEEKS FOR DELIVERY. Dimensions: L: 22" x W: 22" x H:24"